On August 6, 711 Lisbon was taken by the Moors, 400 years later the city returned to Christian rule. 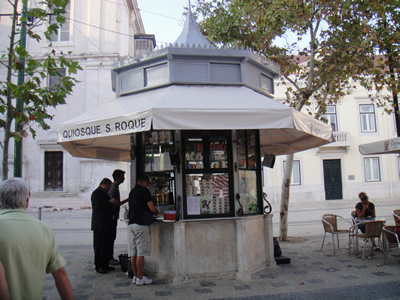 Nowadays the Moorish influence is still present, like the lovely designed old kiosks (quiosque), serving old-fashioned Portuguese refreshments and snacks. 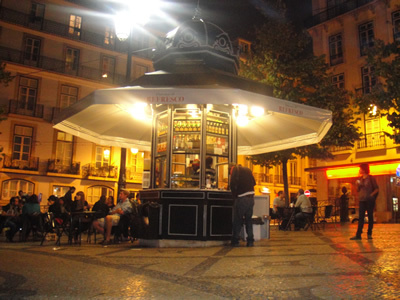 Just behind Camões’ statue , close to the statue of Portugal’s famous writer and poet Fernando Pessoa (1888-1935), still mobbed by many tourists nowadays ; nearby great city views from luxury hotel Bairro Alto’s roof terrace and, one of my favorites, a cheap and traditional Portuguese restaurant ‘Casa da India’. 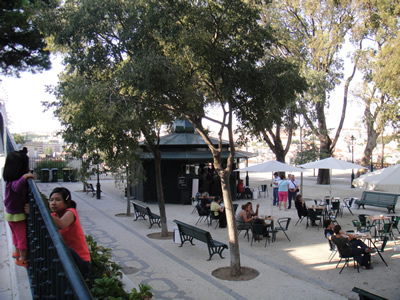 After shopping people like to take a break in this wonderful park with lots of exotic plants and trees, near Bairro Alto, posssibly one of the best (and gay) spots in Europe for a night out! Nearby you’ll find the Botanical garden , one of Europe’s finest! 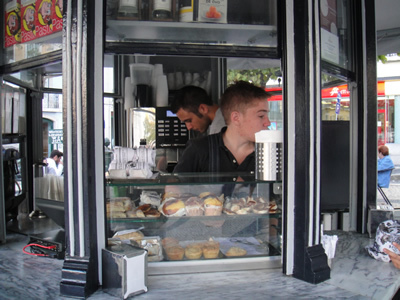 Rua Dom Pedro V is a wonderful avenue for shopping. 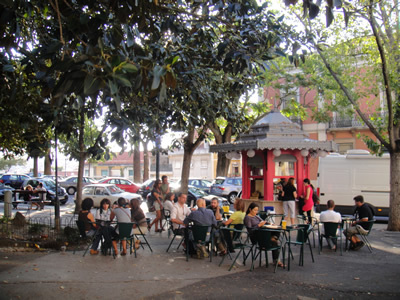 There’s lots of boutiques, traditional antique shops and art galleries. 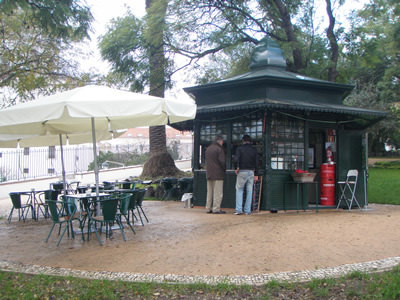 Small kiosk near ‘Casa da Comida’ (’ the house of food’), a new cafetaria/ restaurant in the wonderful bamboo garden of Museum São Roque. This museum and church is home to Italian art from the 16th and 17th centuries. 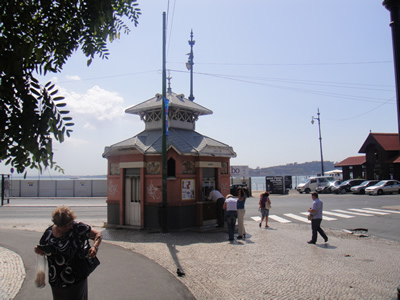 A major bus station is sited outside the front of the Cais do Sodré station, with a Carris small kiosk selling transport passes, tickets and guides. 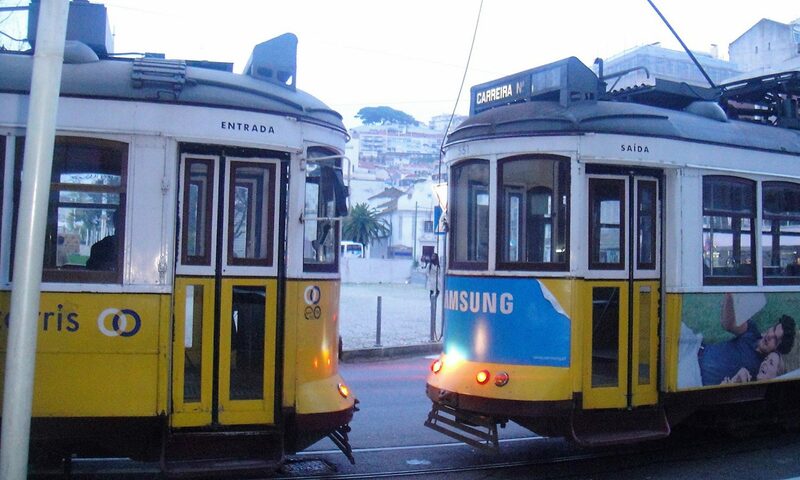 Cais do Sodré is Lisbon’s major bus, metro, trainstation (‘Linha de Cascais’ , name of the train line joining Lisbon to Cascais), and ferry terminal. Lisbon viewpont Miradouro de São Pedro de Alcântara. This wonderful belvedere will give you a unique insight into the city and magnificent views on the old Moorish castle Castelo de São Jorge. 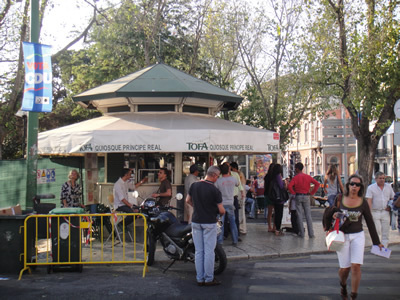 Kiosk above Lisbon’s famous flea market Feira da Ladra . 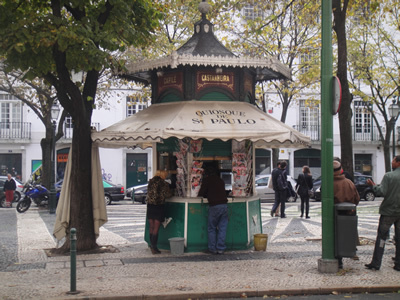 After browsing the market it’s a good idea to have lunch in Restaurant ‘O Panteao de Santa Clara’ just above the market, serving real Portuguese food for a good price. 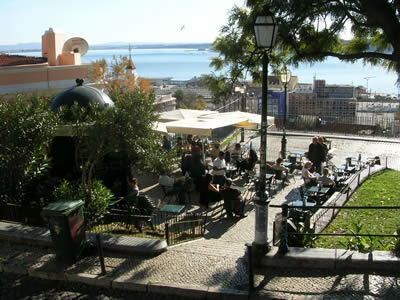 ‘Adamastor’, a popular gathering place in Lisbon overlooking the Tagus river, which is officially called the Miradouro de Santa Catarina. On the other side of the road, Mercado da Ribeira (famous market near the river, since 1882), topped with a Moorish-style dome.